I often use scatter chart with many data points. One of the most irritating things is to spot the data point in Excel chart. Excel does not give you a way to display the names of the data points. While there are many add-ins available to do this, I will show you a super cool (without add-in) workaround to spot the data point you are looking for. This technique instantly gives you a way to identify the company’s position in the scatter chart. Go to Insert –> Charts –> Scatter Chart. Click on the empty chart and go to Design –> Select Data. In the Select Data Source dialogue box, click on Add. 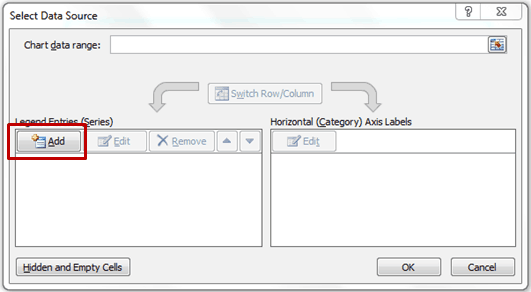 In the Edit Series dialogue box, select the range for X axis and Y axis. Go to a cell where you want to create the drop down. 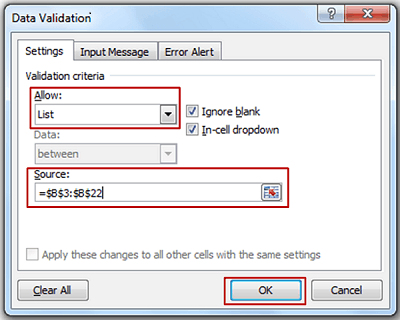 In the Data Validation dialogue box, select List (as validation criteria) and select the entire range that has names of the companies (in this case, the list is in B3:B22), and click OK. Select a cell and refer it to the cell with the drop down. For example, in this case, the drop down is in F3, and in B25 I have the formula =F3. Cell B25 would change whenever I change the drop down selection. Select the already created scatter chart. Go to Design –> Select Data. In the Select Data Source dialogue box, Click Add. Select cell C25 as x-axis value. Select cell D25 as Y axis Value. There would be a data point in a color and shape different from the other data points. 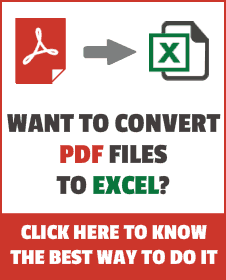 Select that data point, right click and select Format Data Series. 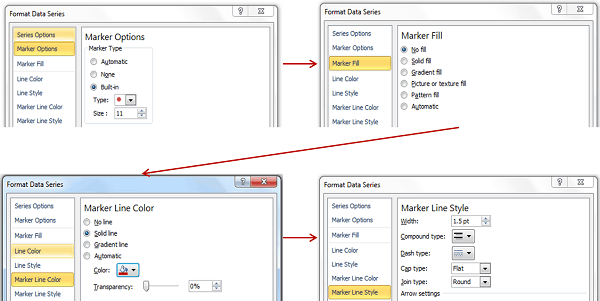 Select Marker Option –> Built-in –> Type (select circular shape and increase the size to 11). Marker Fill –> No Fill. Marker Line Color –> Solid Line (Red or whatever color you want). Marker Line Style –> Width (Make it 1 or higher). That’s it. You have it ready. Now you can select a company and it would circle and highlight the company. Cool isn’t it? 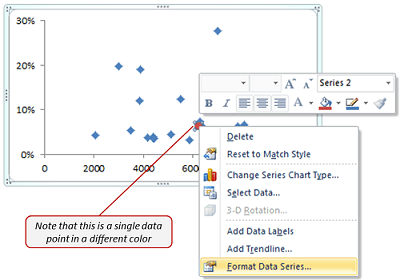 Spice Up Excel Chart Data Labels – Show Positive/Negative Trend Arrows. Handling Data Gaps in Excel Charts.